The property is a portion of a historic building with lovely views and gardens and common pool. 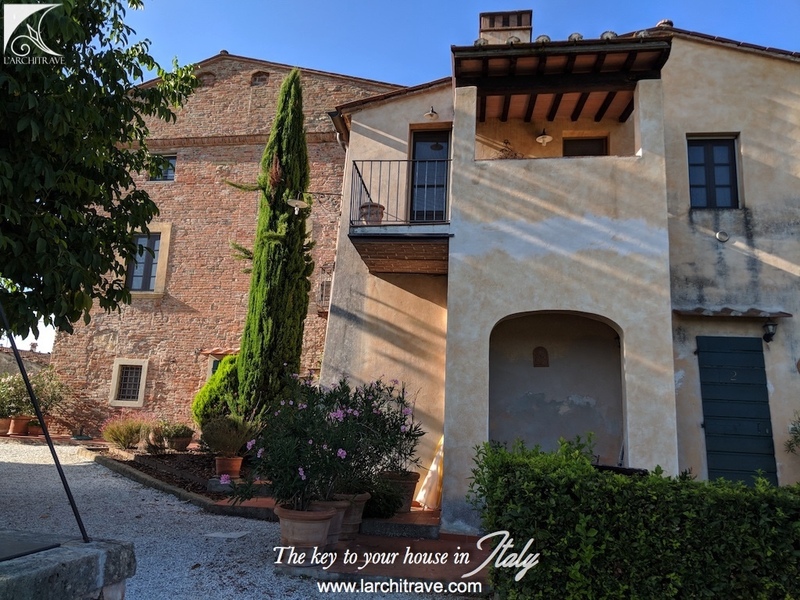 Set at the edge of a hamlet in the Central Tuscan hills with easy access to Pisa and the cultural centres yet in a quiet and peaceful area. Store room on the ground floor. 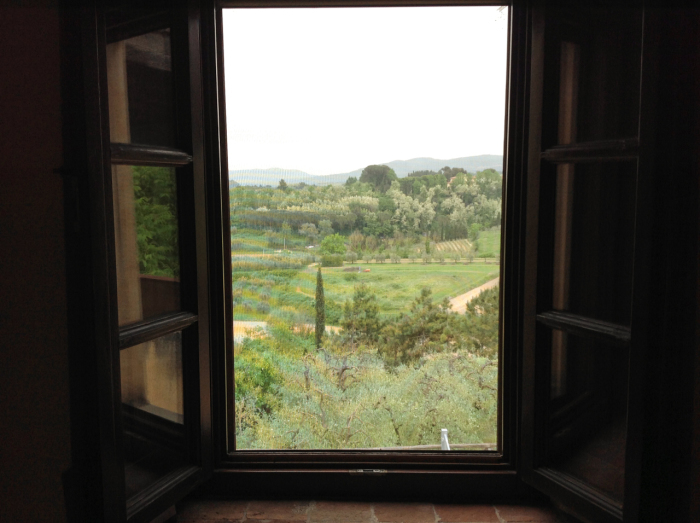 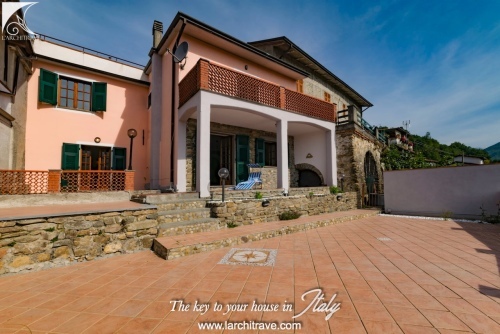 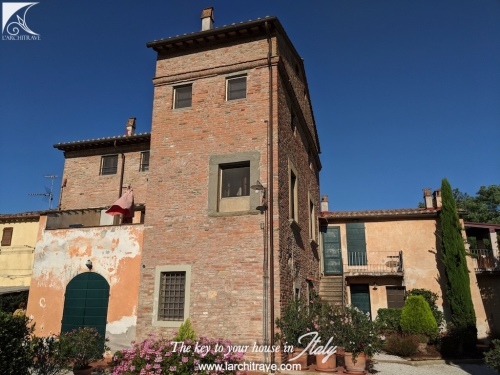 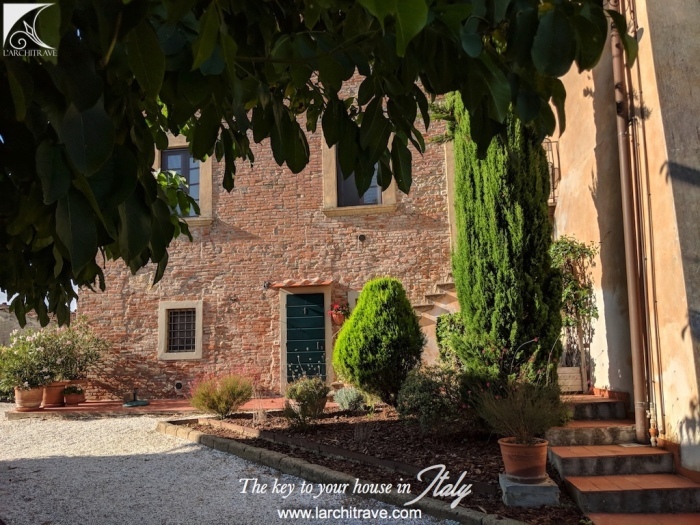 The property has been well restored and maintains the original Tuscan character with beamed ceilings and terracotta tiled floors. The common gardens look over the hills to hilltop villages dotted in the distance. 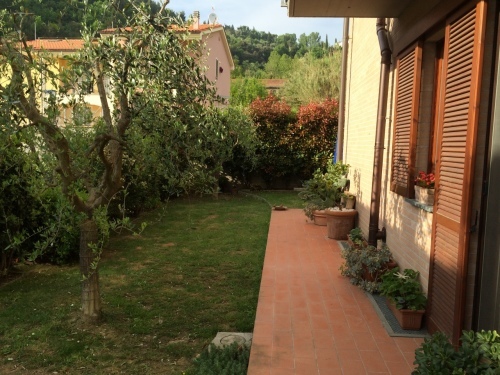 A pathway leads to the pool area with terrace. 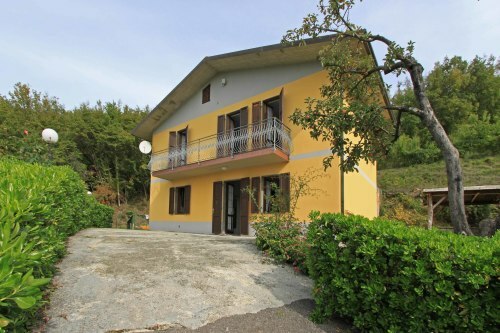 Connected to main services with central heating - this is a well-maintained property. 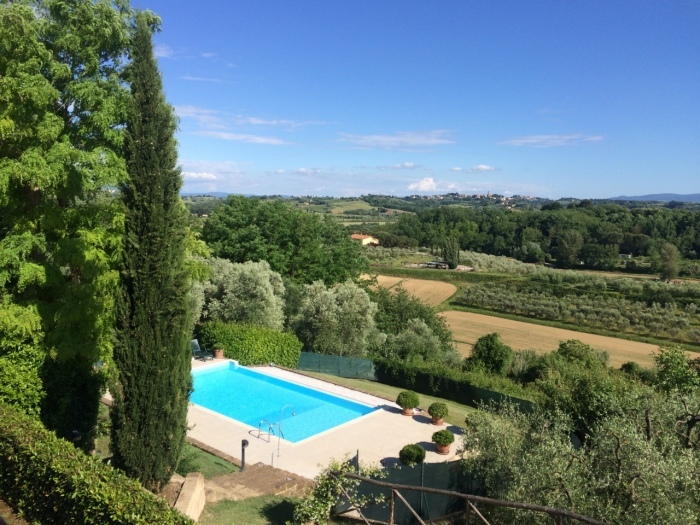 DISTANCES: Pisa 30 km, Firenze 70 km, Volterra 35 km, Lucca 50 km, Siena 70 km, Coast 35 km, Casciana Terme Spa – 7km. 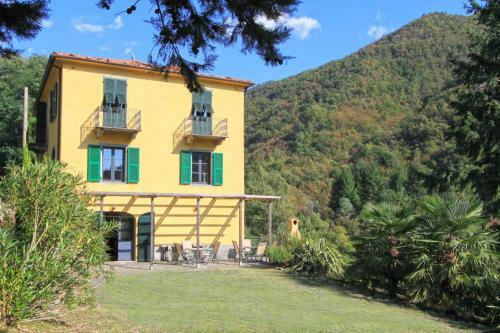 Panoramo Toscano is nestled on the sun-drenched hills of Western Valdera, a few Kilometers from Lari. 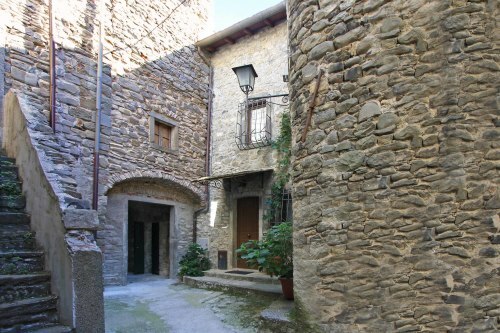 The neighbouring village of Cevoli within walking distance offers a good selection of amenities with bank, grocery shop, cafè, etc. 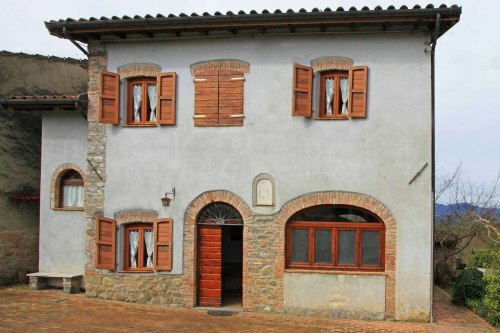 This property also offers good rental potential in the perfect setting with beaches with blue crystal clear waters, rolling countryside and tranquillity amongst green hills and scented woodlands; cities of art for those who love history, culture and the emotions of Italians glorious past; the mountains, in winter and summer, for keen skiers or dedicated hikers and some of the best of Italian food with local gastronomic specialties. 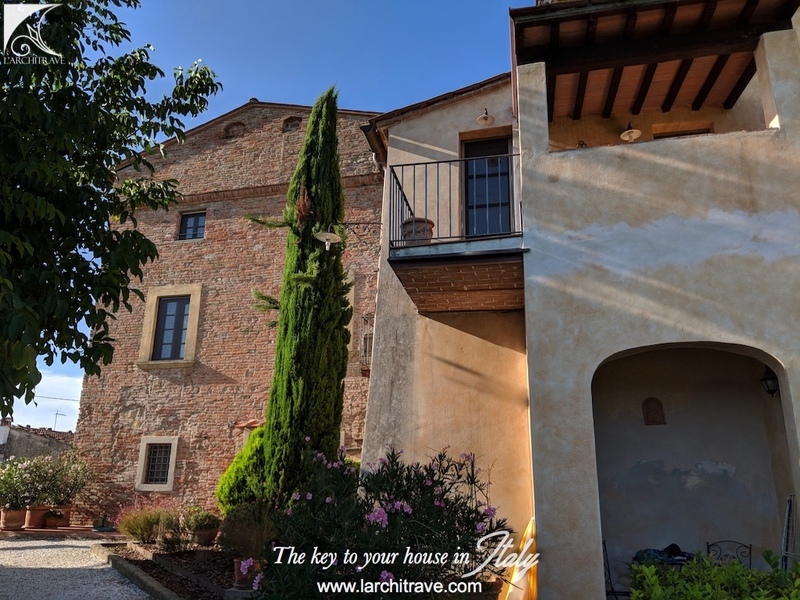 The town of Lari just over 5 minutes drive away is a beautiful medieval town set on a hill and dominated by a castle that is open to the public and where on Saturdays it Is often used locally for weddings. 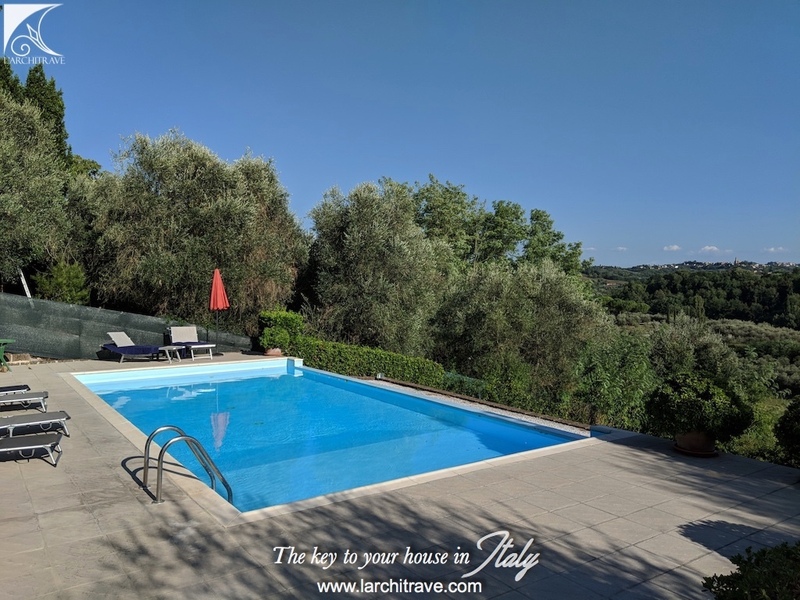 The countryside around Lari is criss crossed with footpaths for lovely hill walks with stunning views over the hills and through the olive groves and vineyards. 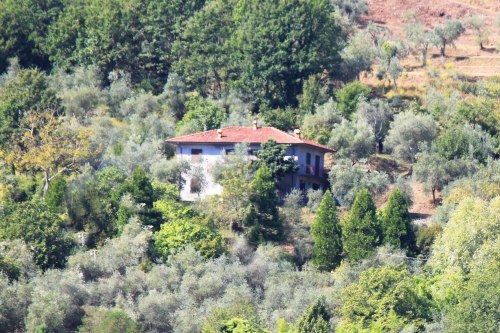 But Lari is most famous for its cherries for which there are 19 varieties each with its own special sweetness. 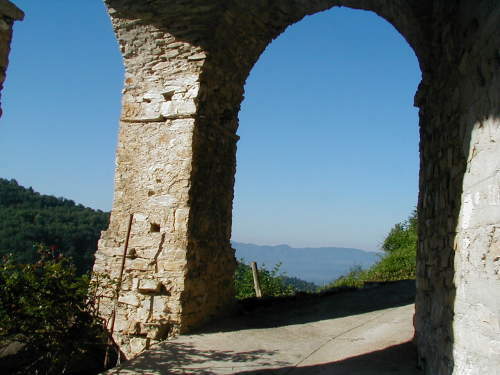 Don't miss the cherry fair in late May and be sure to take home some of the delicious cherry jam or cherries in liqueur. Lari is also home to the exquisite Tuscan truffle and the local restaurants will offer you superb pasta with a truffle cream sauce. 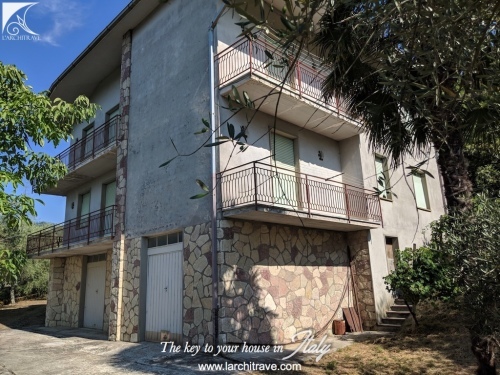 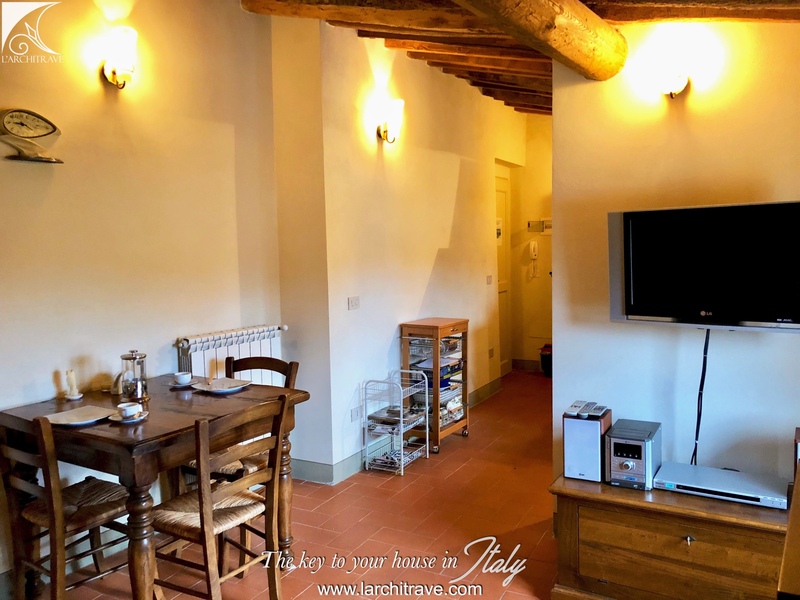 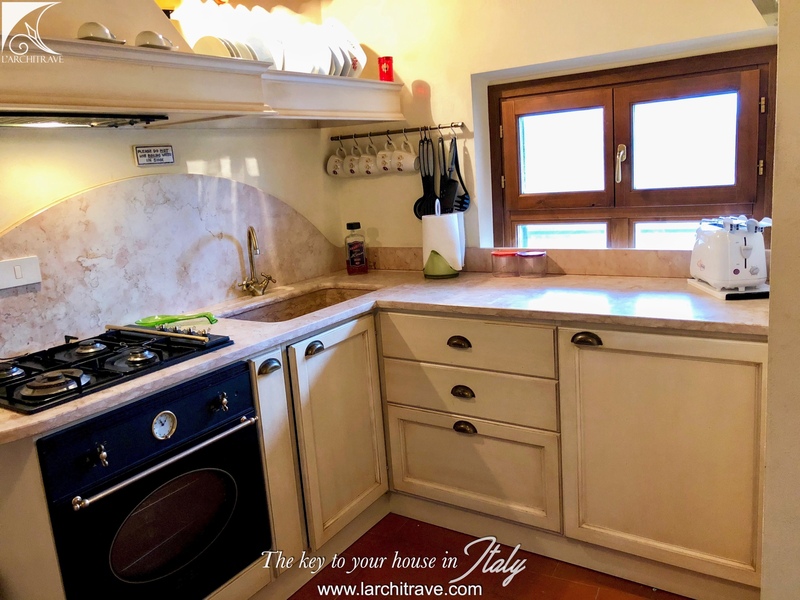 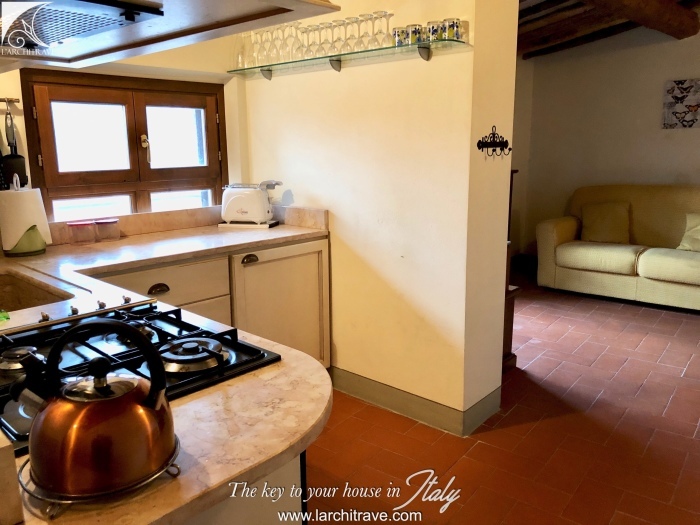 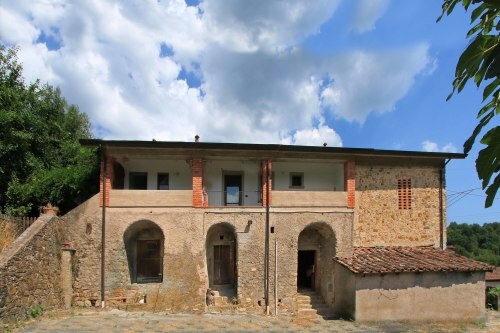 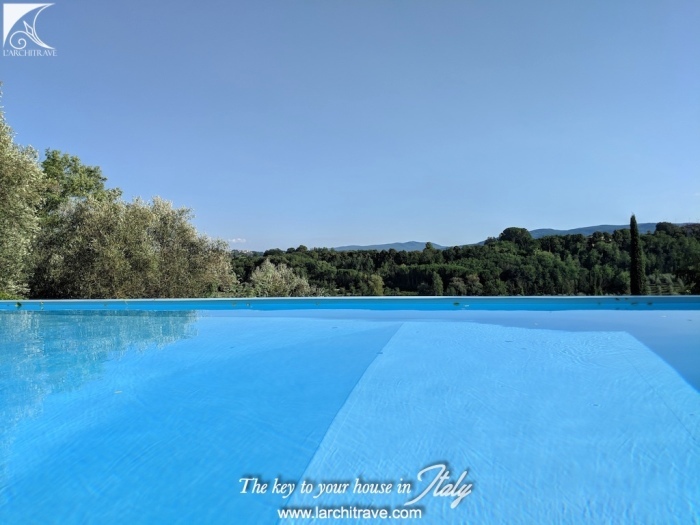 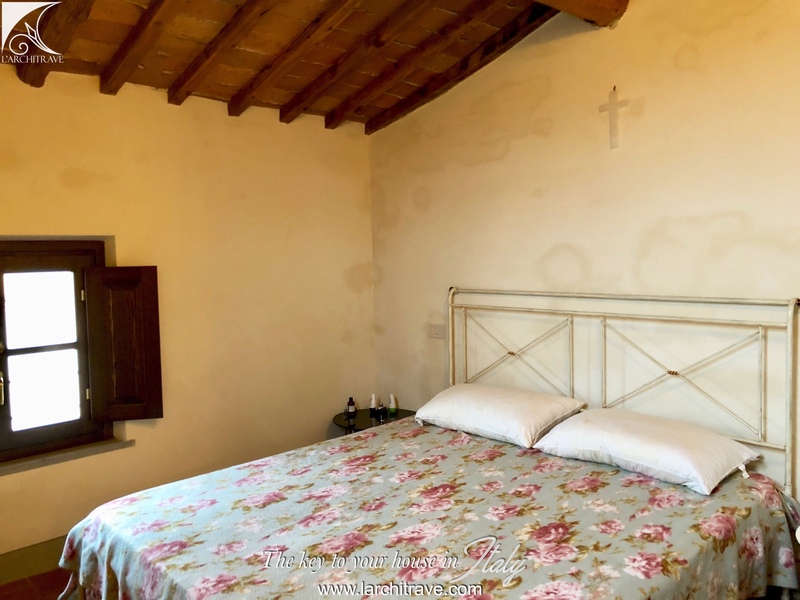 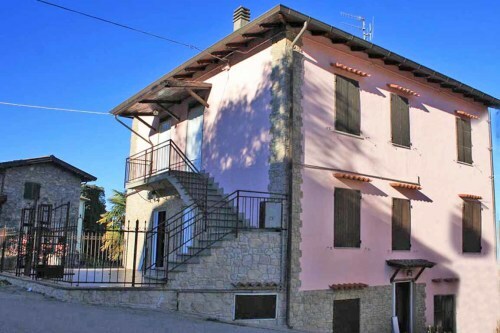 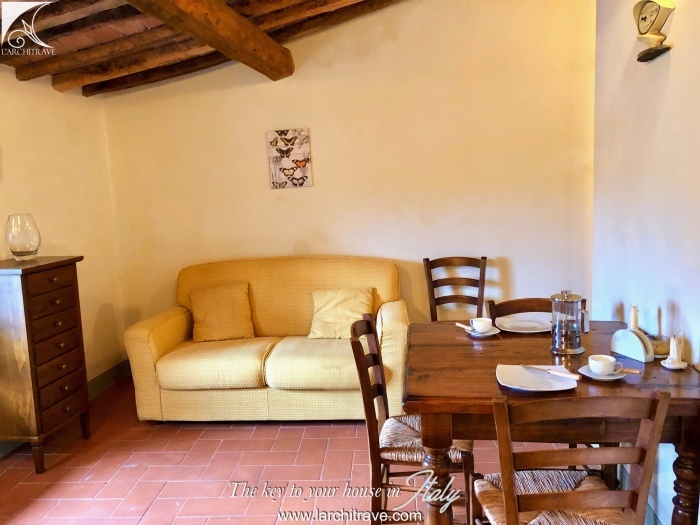 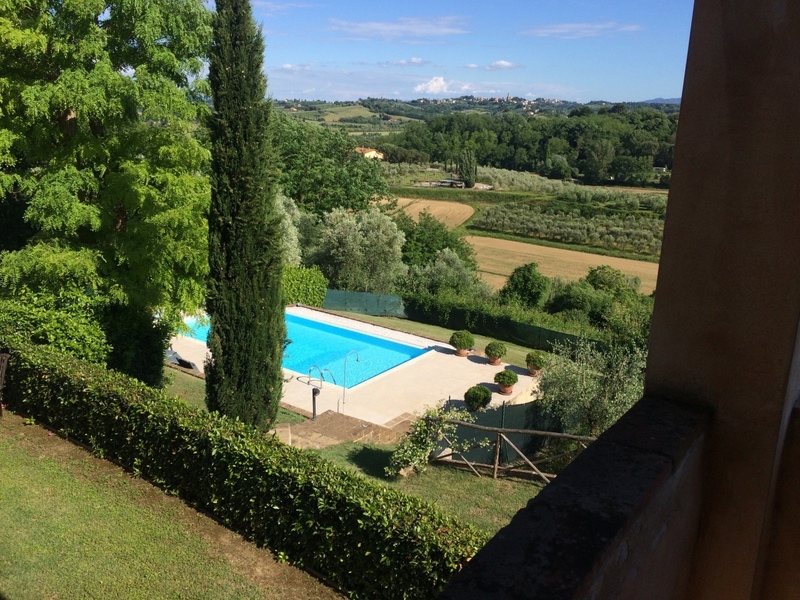 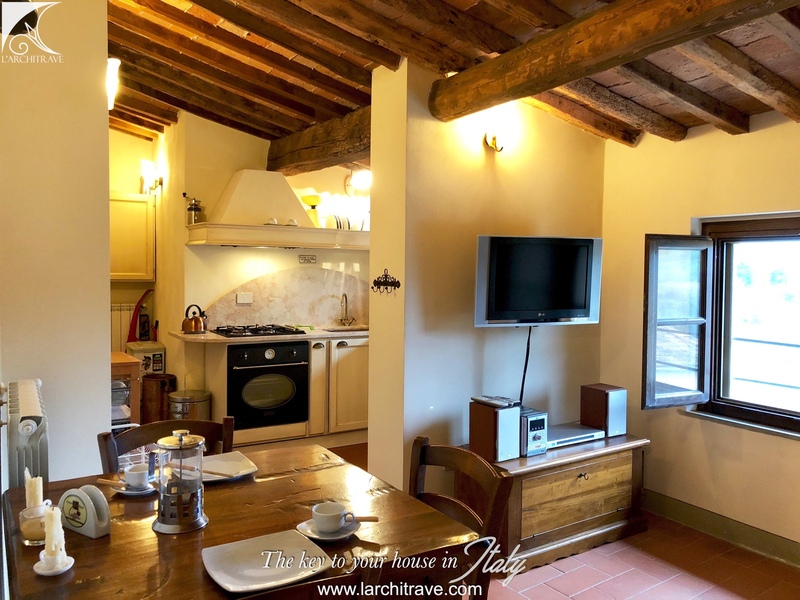 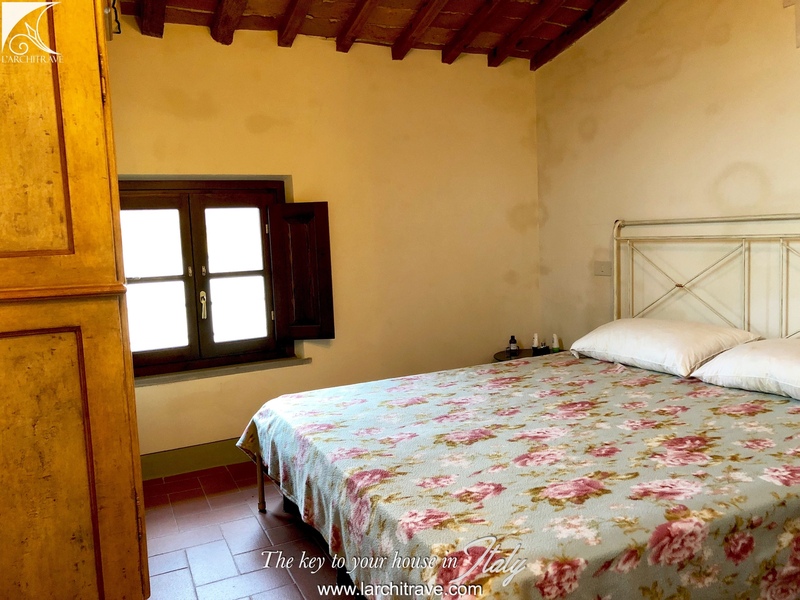 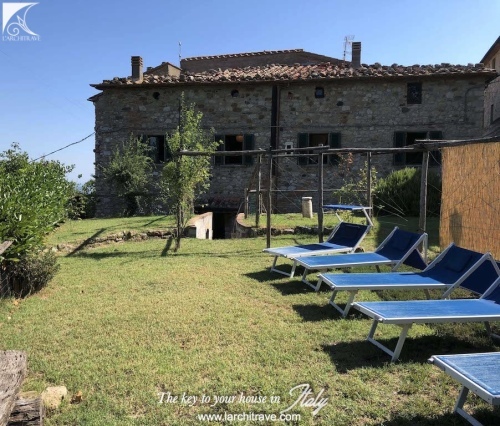 The property is located in Valdera in Central Tuscany between Pisa and Florence, this colourful landscape of rolling hills dotted with medieval villages, castles and lanes flanked with tall dark green cypress trees epitomises the Tuscan landscape.